Amanda is the leader of the design team in our Plymouth, MA, headquarters. 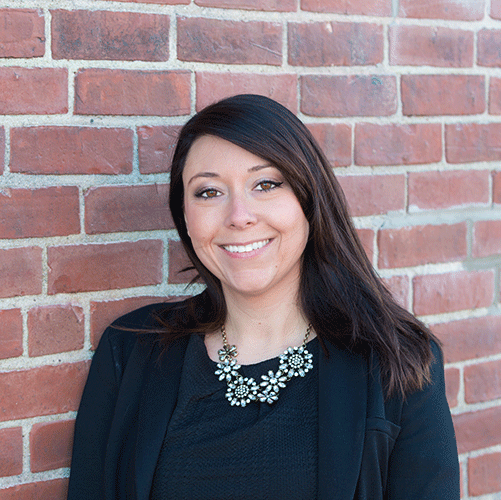 Equally adept at print, web and direct mail media, Amanda has several awards for creative excellence, for direct mail, print and multichannel fundraising campaigns. Not only does Amanda provide excellence in her original designs, she also manages and directs a large stable of highly skilled freelance artists, designers and interns who provide DaVinci Direct with the capacity to handle a large and diverse group of clients. Amanda began working with us in the “pre-DaVinci days” as a design intern in 2004. She quickly picked up fundraising techniques and concepts, and was recruited into the DaVinci team upon graduation from design school in 2007. With a degree in graphic design and a solid foundation in fundraising, Amanda produced outstanding work as a Graphic Designer for DaVinci Direct. Amanda then went on to pursue the commercial industry as a Senior Designer at a publishing company in the Boston area for a couple of years. While there, she expanded her skill set and coordinated editorial, creative, and marketing workflow among the in-house art department. In November 2010, Amanda rejoined DaVinci Direct as an Art Director to continue her career in fundraising. She continues to produce award-winning work for clients such as DAV, Riley Hospital for Children, Children’s Hospital & Medical Center/Omaha and Joslin Diabetes Center, among others.